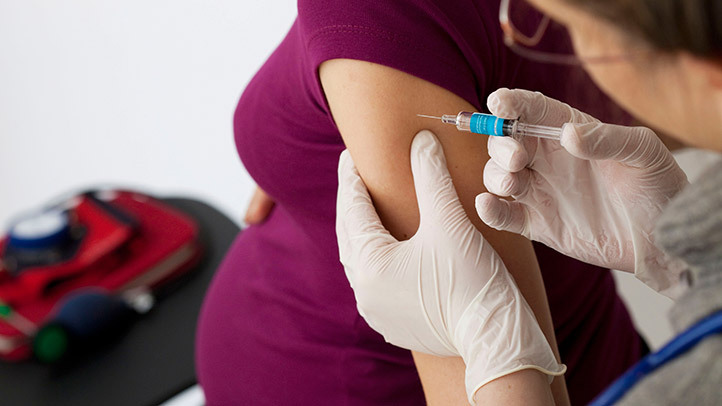 Is the flu shot important for pregnant women and why? A flu shot is indeed important, especially for pregnant women. First and foremost, if a pregnant woman gets the flu, it will affect her differently than it would other people. Pregnant women face a much higher risk and the severity of the flu can bring about complications in the pregnancy. The best way to prevent contracting the flu is by keeping up-to-date with your annual shots. It is important that you do this during prenatal and even in the postpartum phase. The virus that causes the flu makes it contagious and it spreads rather quickly. The main season is the months between October and May. If a pregnant woman is in her last trimester and contracts the flu, it may become so critical that hospitalization may be required. The flu is shot is different from any other form of vaccine. Other forms, such as the nose spray version has the live virus. The shot is safer for both pregnant and lactating women, regardless of which trimester they are in. Breastfeeding mothers and pregnant women can pass this protection to their newborn or unborn babies. Newborns are especially vulnerable to all illnesses and hence need the extra protection. But they can’t get this vaccination until they are six months old. Therefore, the mother being vaccinated makes even more sense. Even if the baby is taken care of by someone other than the mother, it is recommended that the caregivers get the flu shot.